Inform and inspire young naturalists with this book about a very special butterfly garden. 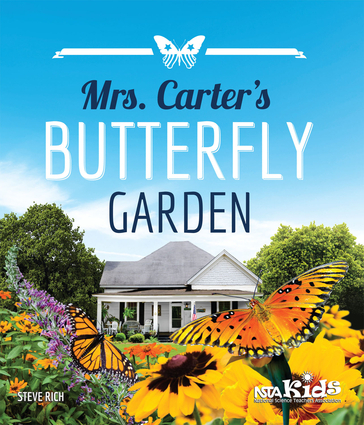 Mrs. Carter's Butterfly Garden is the story of how former First Lady Rosalynn Carter started a front yard project that grew into a butterfly-friendly trail through her hometown of Plains, Georgia. Learn from Mrs. Carter's example why it's good for people when butterflies have welcoming spaces and how kids can create their own butterfly gardens at home or school. Steve Rich taught elementary and middle school for 15 years before becoming a state science specialist and director of a university science center. He holds degrees in agriculture and education and is the author of several books for students and teachers, including the popular NSTA Press titles Outdoor Science: A Practical Guide, Bringing Outdoor Science In: Thrifty Classroom Lessons, Mrs. Carter's Butterfly Garden, and My School Yard Garden.